Teeth that are stained or badly discoloured can make a smile look unattractive – and if not treated soon enough, these stains or discolourations on the surface of the teeth can lead to more serious dental problems like tooth decay. The stains on teeth can also cause embarrassment and lack of self confidence on the part of the patient, who may find it difficult to smile or even open the mouth for fear of showing discoloured teeth. Stain removal service by a Kent dentist will be done using air abrasion – a procedure that is carried on without pain or discomfort to the patient. The stain removal service with air abrasion is done with a gentle spray to the surface of the teeth that are stained or discoloured; the spray is composed of a mixture of air and powder. Air abrasion stain removal will not pose any pain or discomfort for the patient, and there will be no shots required since the affected area will not have to be number by anaesthesia. The removal of stains on the teeth using air abrasion is pain-free, as the air abrasion technique will involve a spray with a combination of air and the stain removal powder mixture. The risk of damaging tooth structure is significantly lessened with the use of the air abrasion technique by a dentist in Kent, since there is no pressure exerted on the structures of the teeth. Air abrasion can effectively remove unsightly stains or discolourations on the surface of the teeth, with very minimal to no discomfort to the patient. The powerful stream of teeth whitening air and powder mixture will polish off teeth and discolourations on teeth in a short period of time. There is very little to no need for anaesthesia when using the air abrasion technique for stain removal services; this is because the affected teeth or area will not feel any pain during the entire procedure. Poor Oral Hygiene – Teeth that are not cleaned on a regular and proper basis will have greater risk of being discoloured or stained as the years go by. The food and drinks that a person consumes will have a bigger chance of staining the surface of the teeth if the person does not take the time to brush his or her teeth on a regular basis, especially when dark-coloured food and beverages are consumed heavily. Infrequent or rare visits to a dentist in Kent will also contribute to teeth that have unattractive stains or discolourations, since the person’s oral health is not monitored and maintained by a dental professional; stains and discolourations on teeth that are not treated early on can even lead to more serious dental problems. Ageing – The natural ageing process can take its toll on the appearance of teeth, which can become dull, brownish, or yellowish as a person ages; this is the reason why teeth whitening can do wonders in making a person look much younger than his or her actual age. One can fight the discolourations caused by aging with proper oral hygiene habits, and regular visits to the dentist for teeth whitening treatments using air abrasion. Dark Food or Beverages – Frequent consumption of food and drinks that are dark coloured (such as tea, coffee, chocolates, berry juices, or soft drinks) can leave stains on the surface of the teeth. The dark colour of these food and beverages can stay wreak havoc on the appearance of teeth – especially if proper oral hygiene (such as the regular tooth brushing, and visits to a Kent dentist) are not observed. The stains that dark-coloured drinks and food can develop into tooth decay if left untreated for a long period of time. Whenever possible, using a straw can help minimise the contact between the dark-coloured beverage and the teeth – and in the process, will minimise any teeth-staining problems. Smoking – Smoking and the use of tobacco products can result to teeth that are yellow, with unsightly brown stains caused by nicotine. The stains left by nicotine use can be very hard to remove, especially if they have been left on the surface of the teeth for too long. Aside from unattractive staining and discolouration, smoking and tobacco use can also result to discolouration of the gums, gum diseases, bad breath, and oral cancer. Tetracycline – Tetracycline is an antibiotic commonly given to children (or to pregnant women), which can cause yellow-orange or bluish gray stains on the surface of teeth. 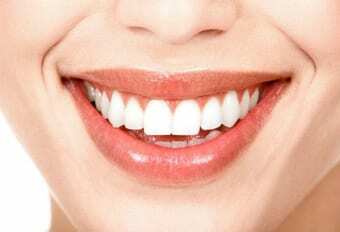 Tetracycline teeth stains are very difficult to remove.